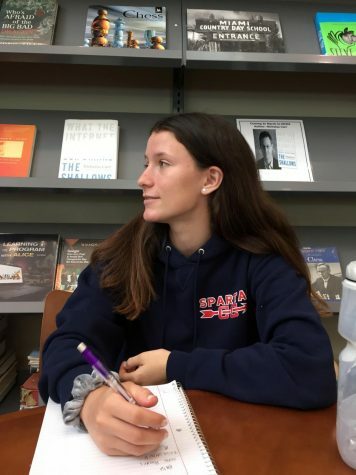 Taisa Strouse, Sports Editor, is a Junior at Miami Country Day and this is her third year on The Spartacus. Taisa is on both the Varsity Soccer and Cross Country teams. As an athlete-scholar, she is so happy to take on the role of Sports Editor this year. Schoolwork is very important to her and English has become her favorite subject due to her interest in writing and reading.